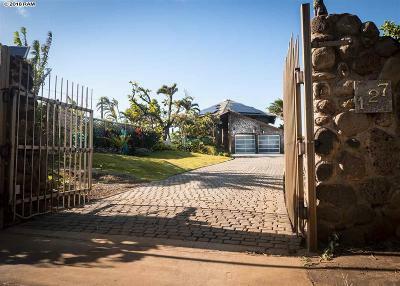 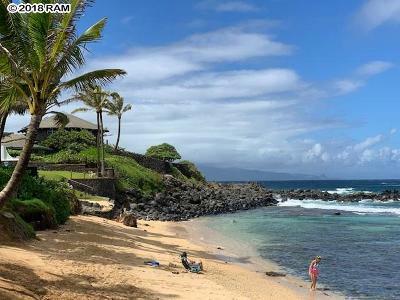 OCEAN FRONT Kuau Sunset Point, a Windsurfers, Kitesurfers, Suffers Paradise, is within walking distance of renowned Mama's Fish House, Kuau Store (coffee, smoothies, poke & plate lunches), Mama's Keiki Beach, Kuau Pipes surf break (directly in front! 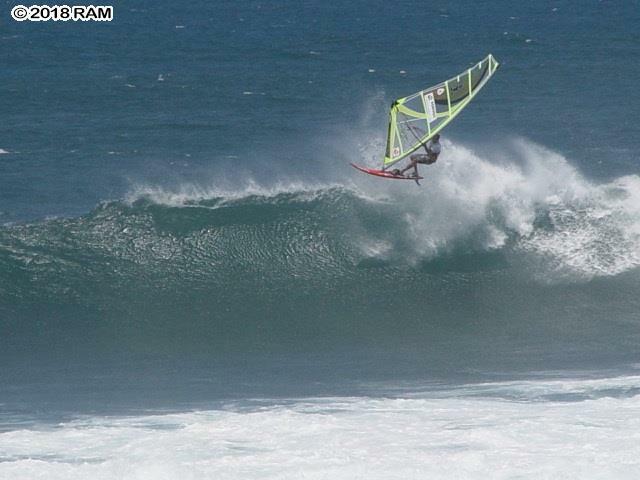 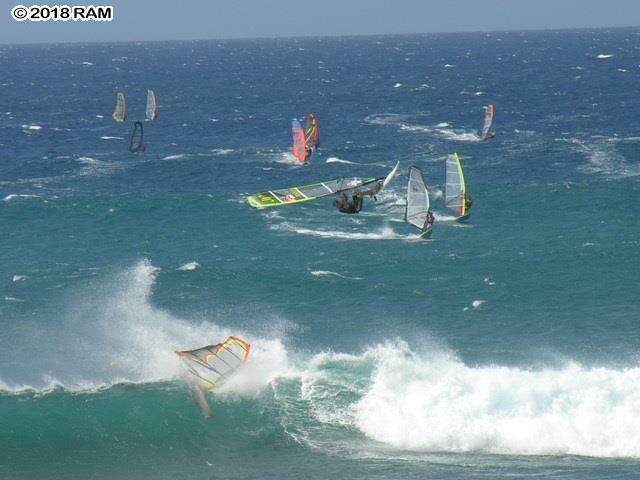 ), & windsurf launch. 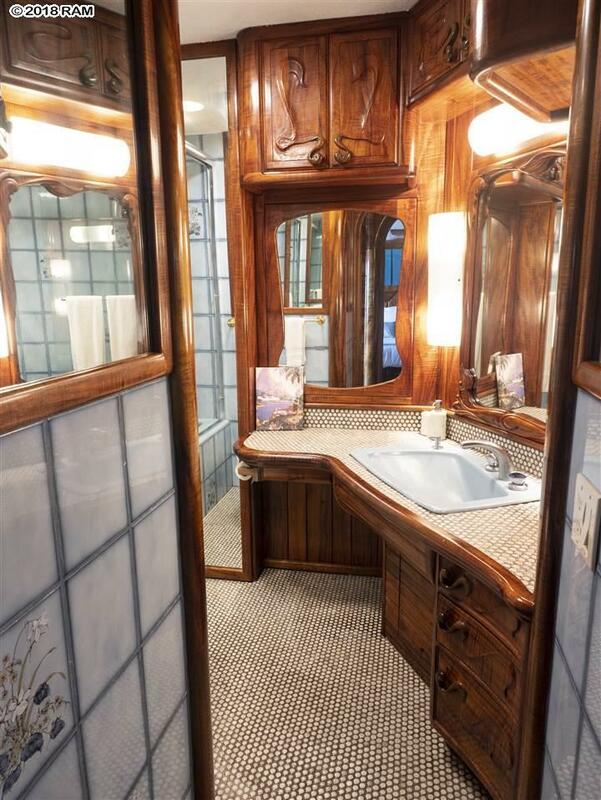 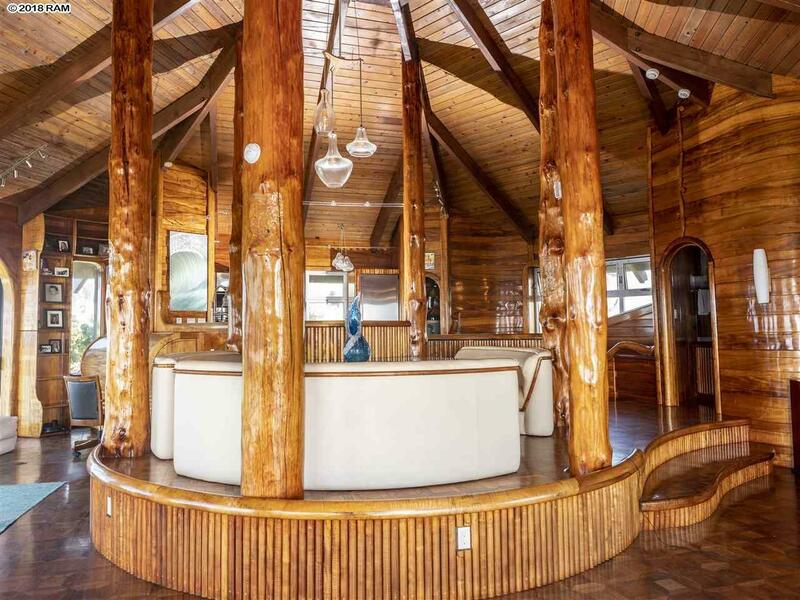 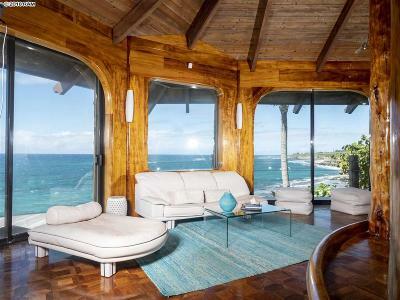 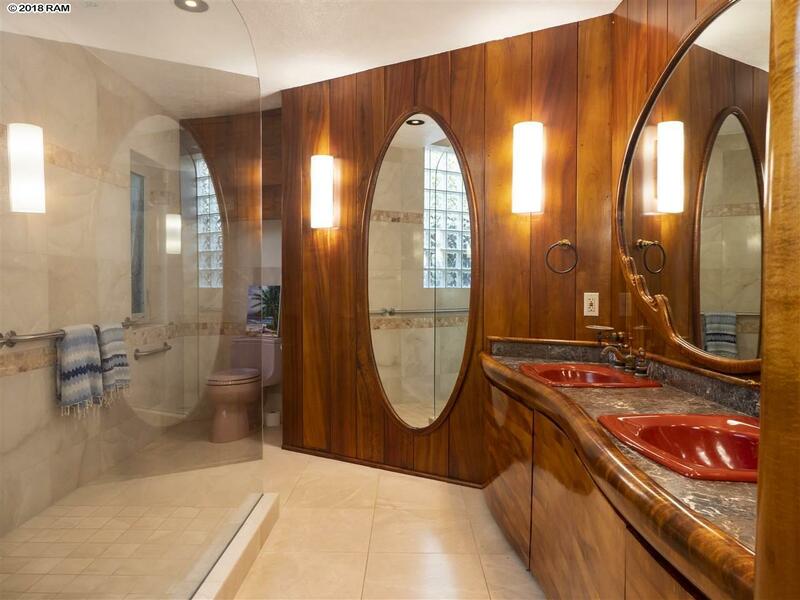 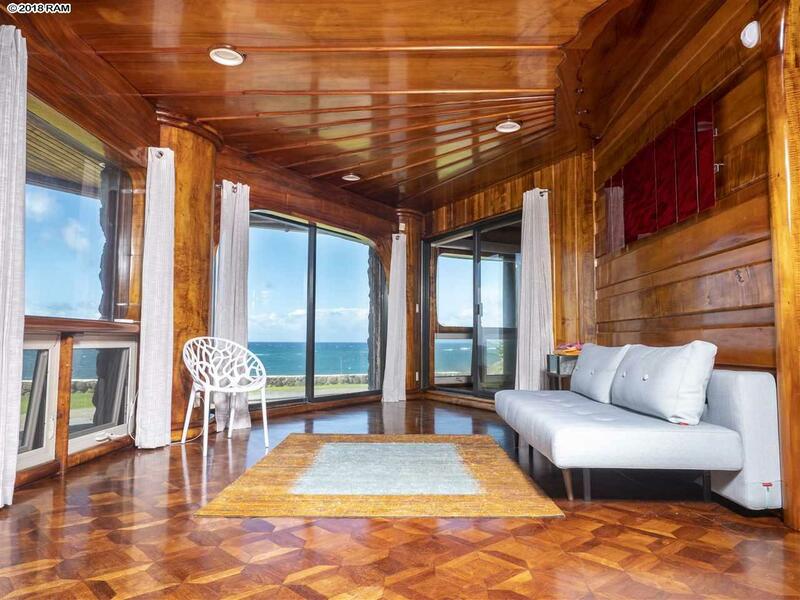 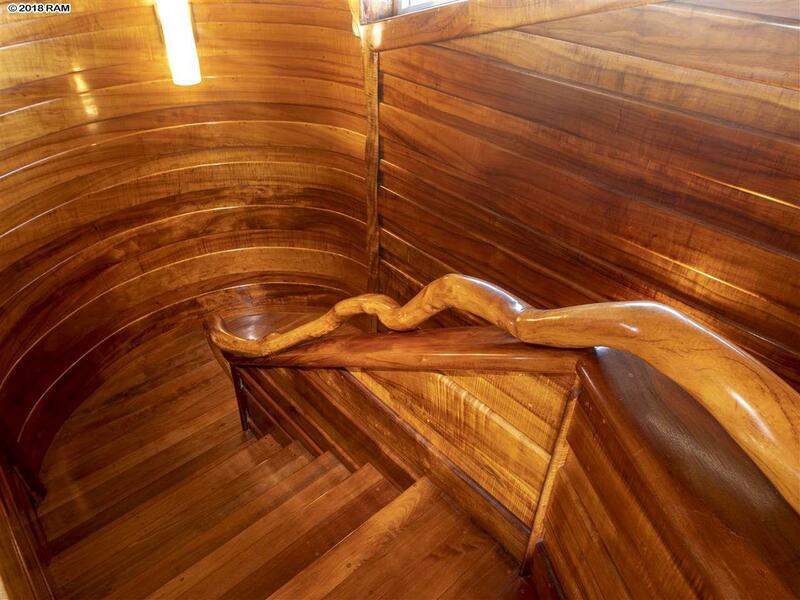 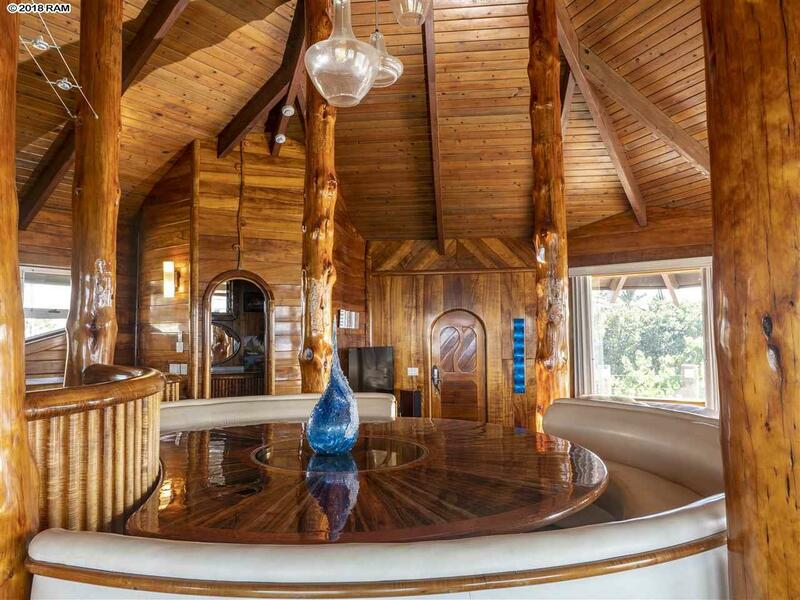 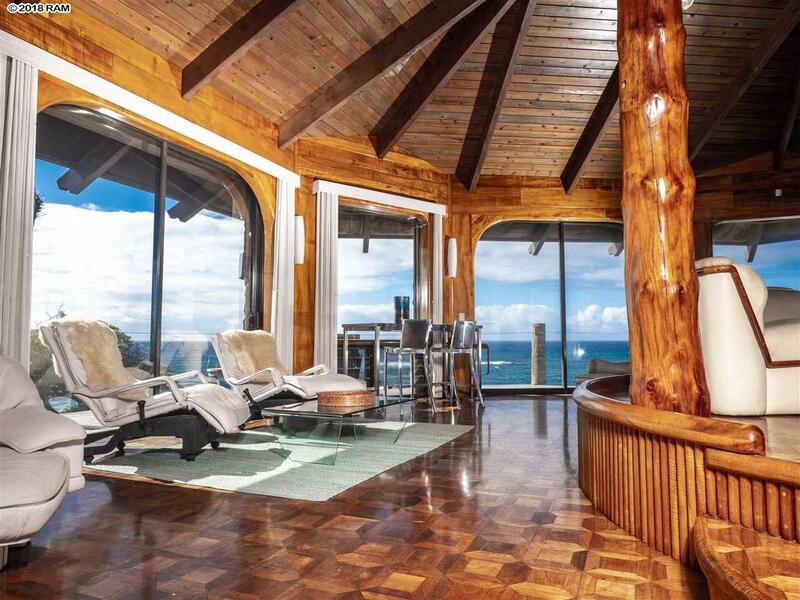 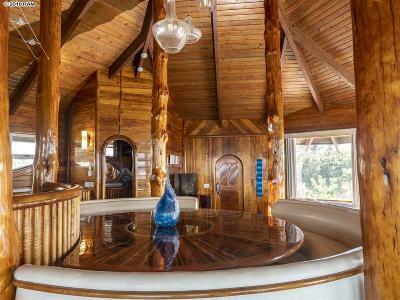 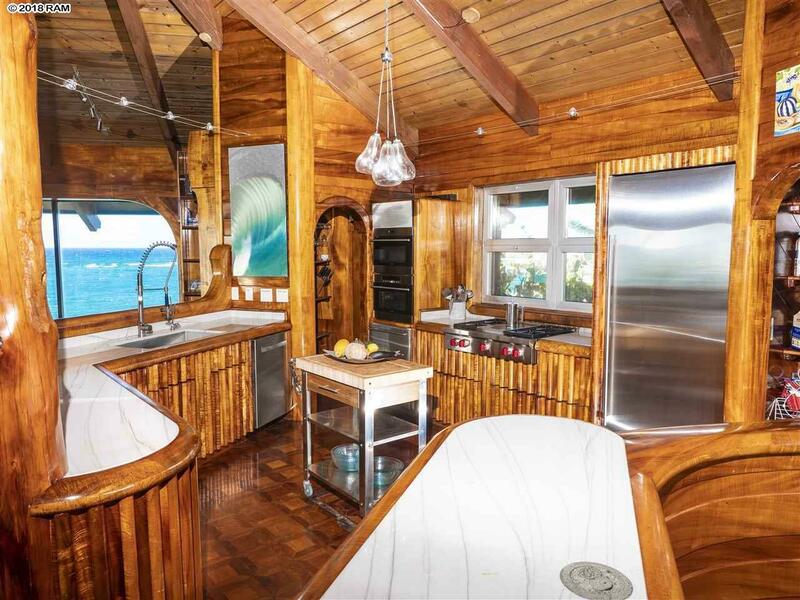 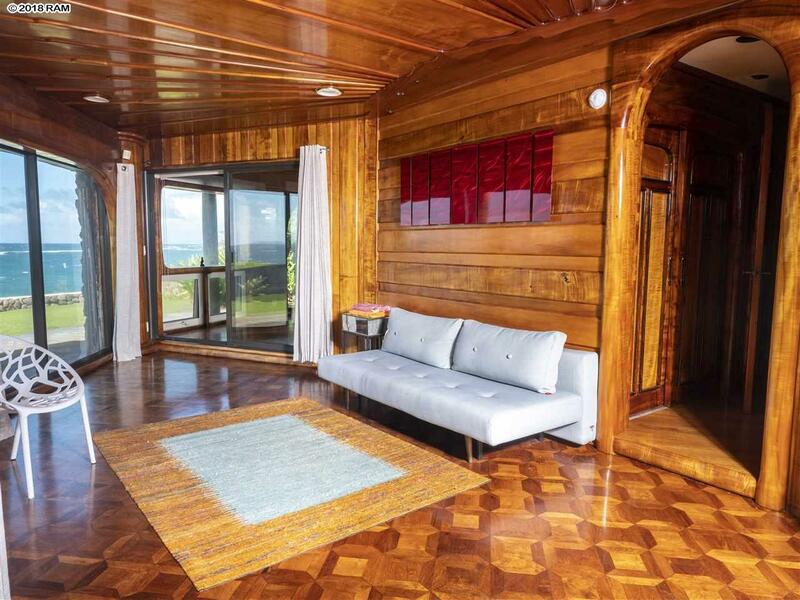 Situated atop a massive, ELEVATED rock bluff fronted by a (hard to come by) permitted seawall & further protected by outer ROCK reefs, this unique, over-engineered 2 bedroom home features rare hardwood interiors & took 3 years to complete; cost $4.m to build in 1987! 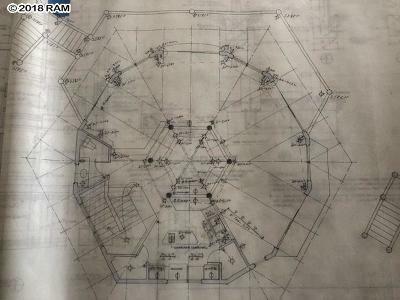 This poured-in-place structure offers room to expand over the garage & the large lot provides possibility to build an ohana, a second home and CPR to sell separately. 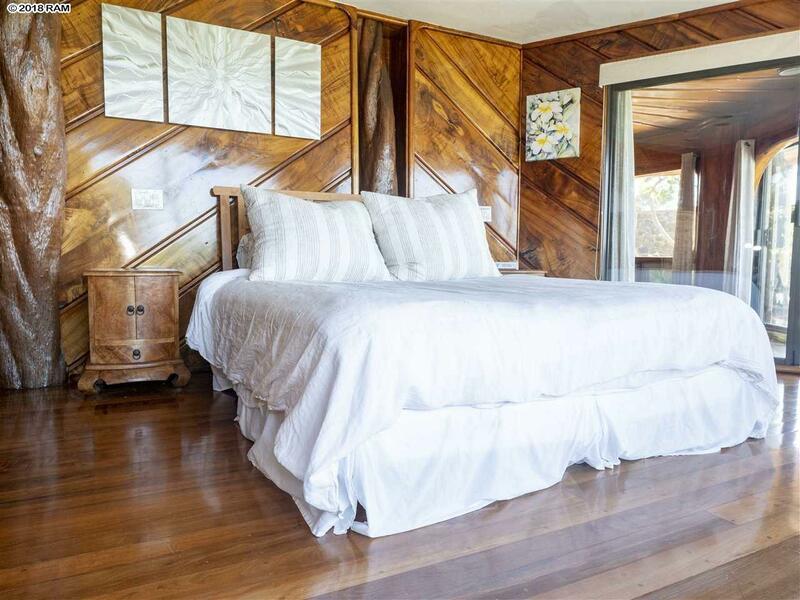 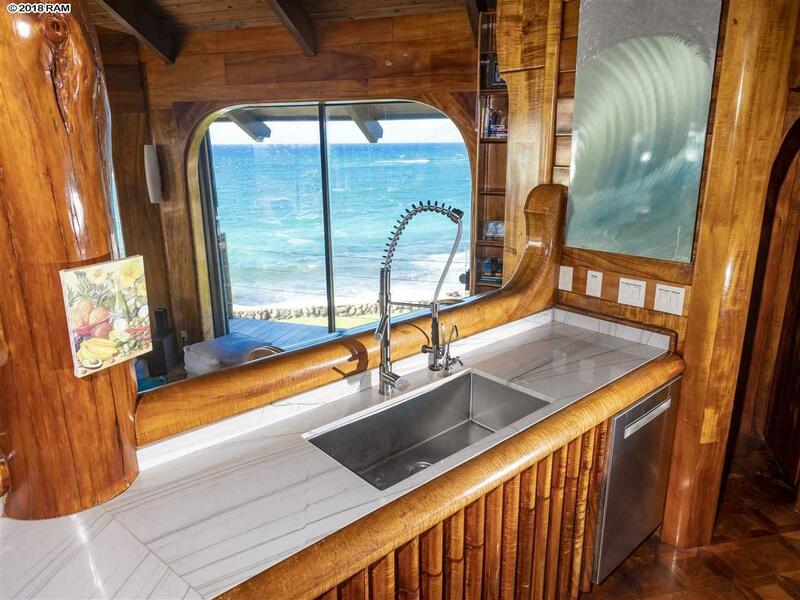 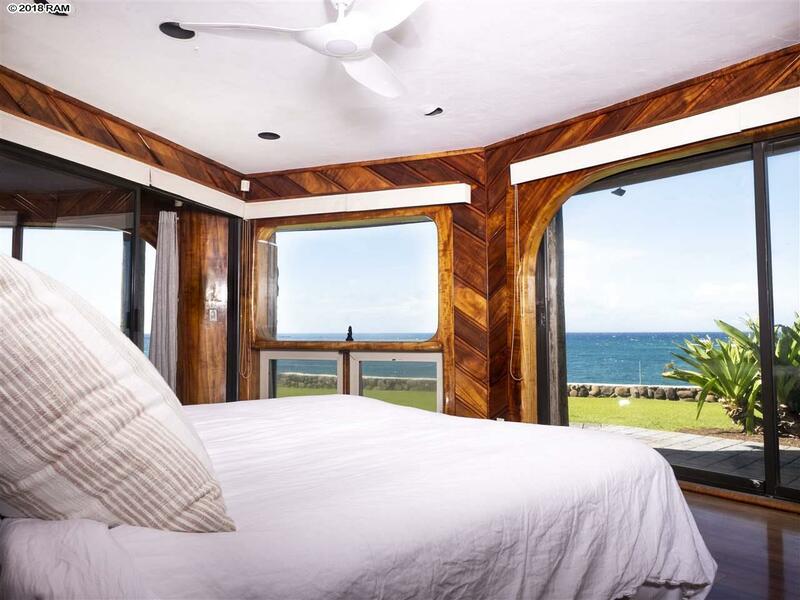 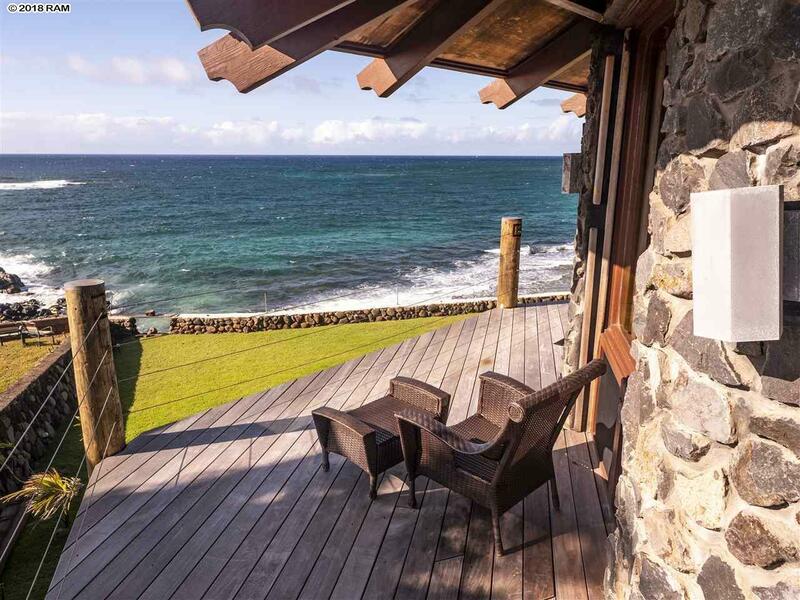 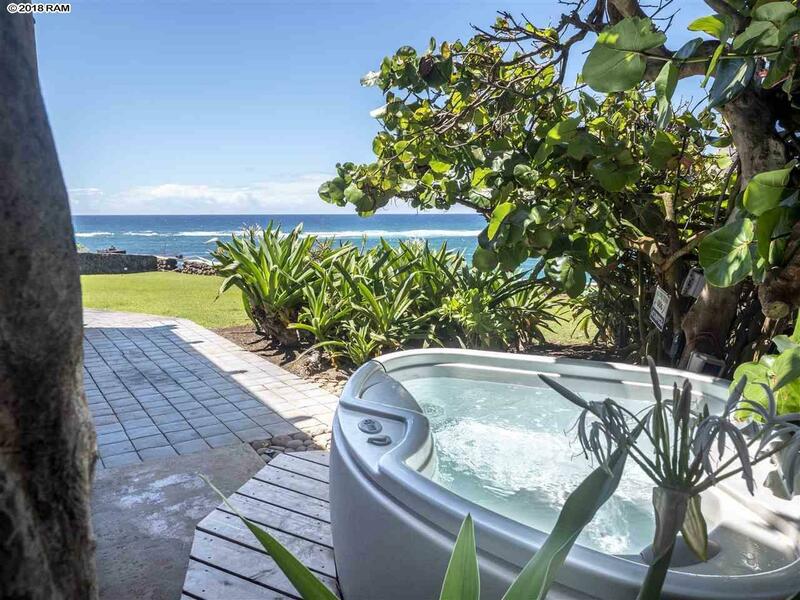 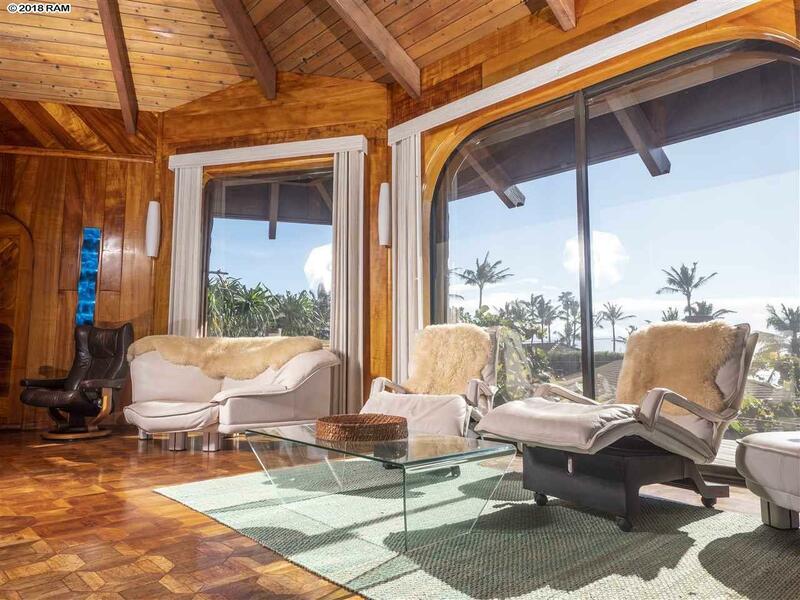 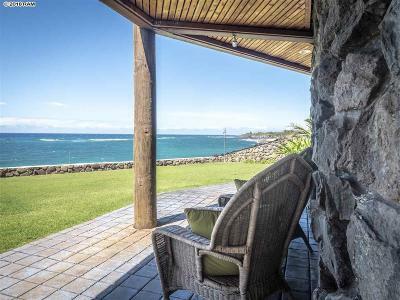 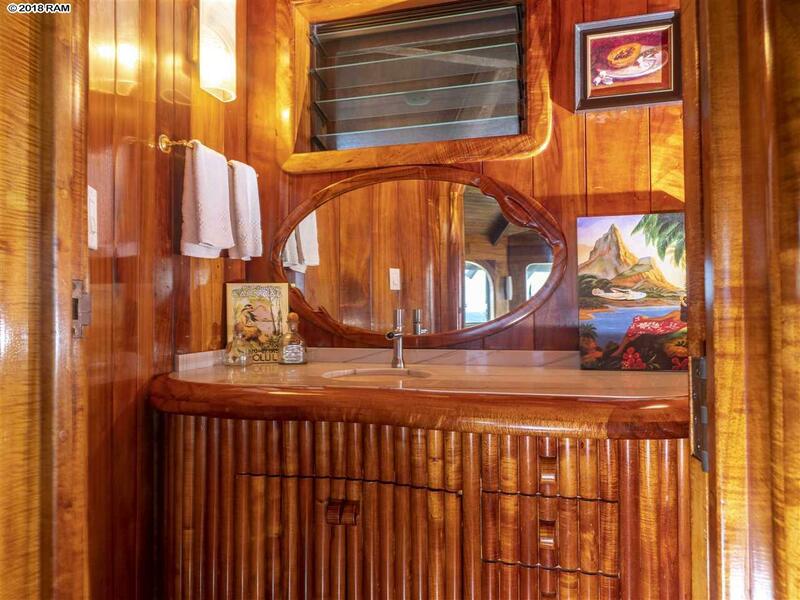 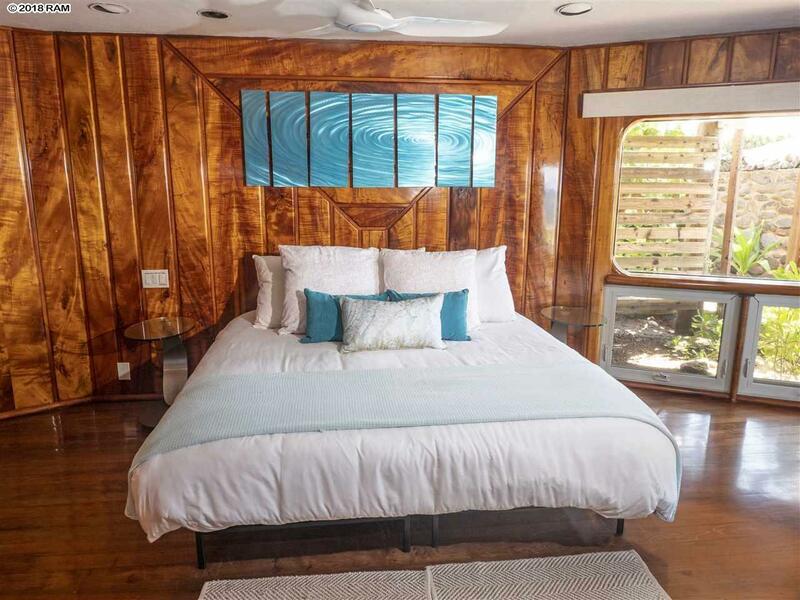 The wrap around deck offers views of colorful windsurfers, kitesurfers & surf at Ho'okipa, West Maui mountains, Molokai & fabulous sunsets as well as Haleakala views. 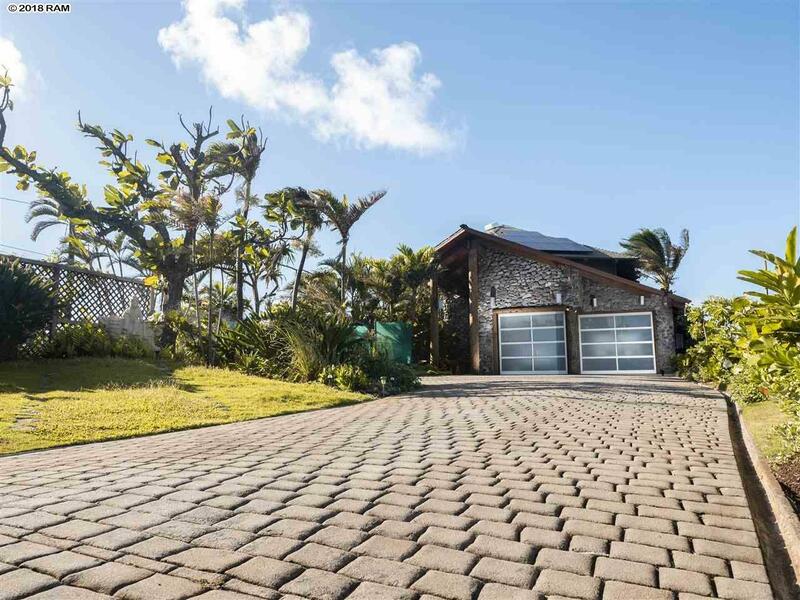 Owned PV system installed in 2017 comes complete with 2 EV chargers. 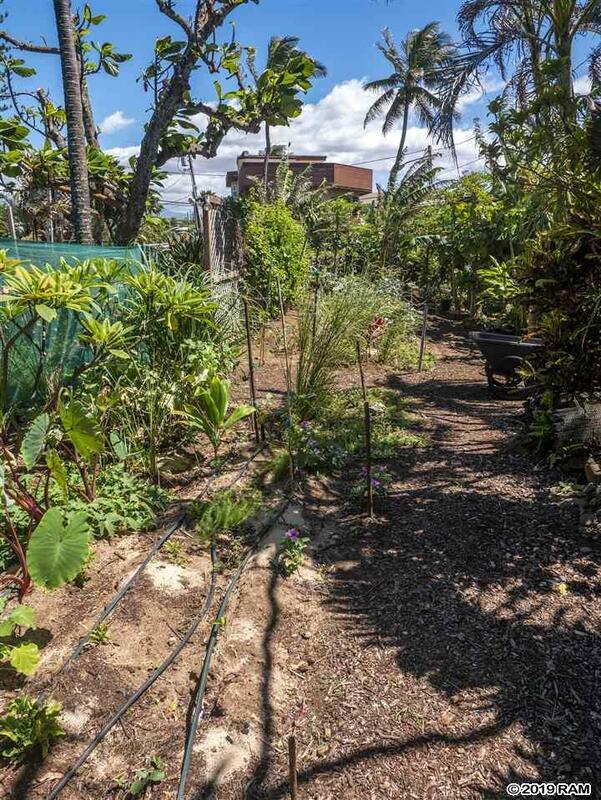 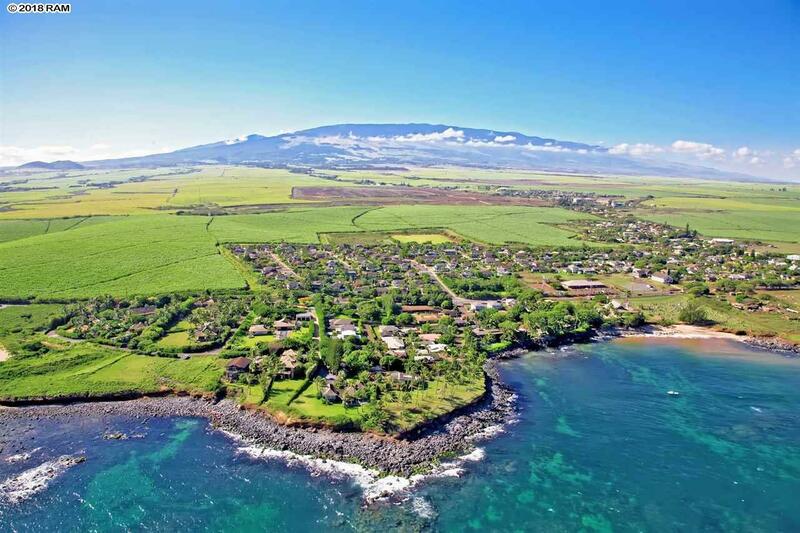 This serene & peaceful neighborhood socializes during evening strolls; bike or walk to Paia Town's cafes & shopping, Maui Country Club, Baldwin Beach. Airport is close by (without the noise) & it's an easy commute to Kahului, Wailuku & medical facilities. 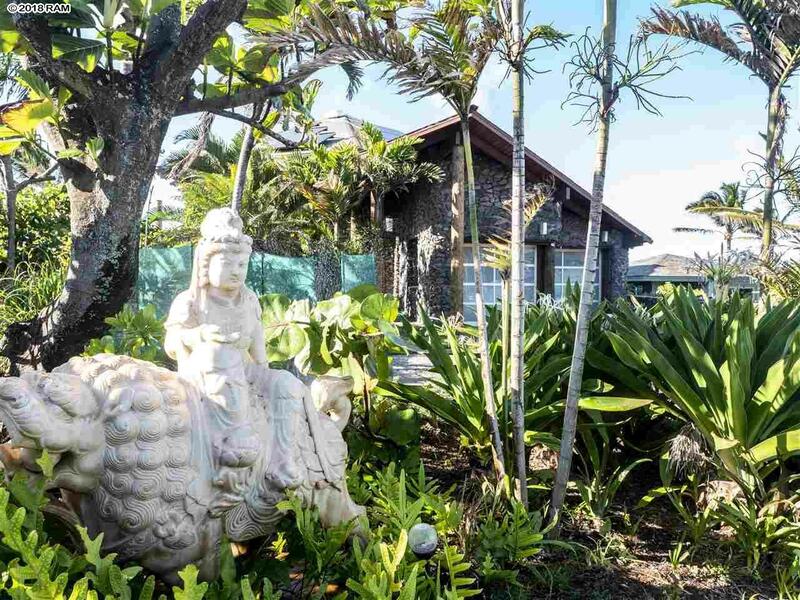 Kuau's micro climate is drier & sunnier than Haiku to East, great location. 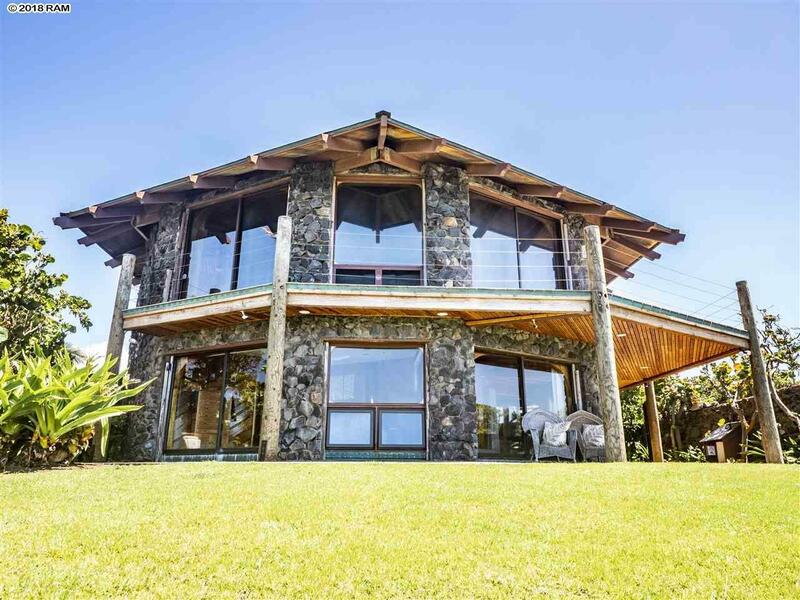 CPR in process creating options: keep as is; sell a lot, build 2nd home & sell 1; build 2nd home, rent 1, live in other. 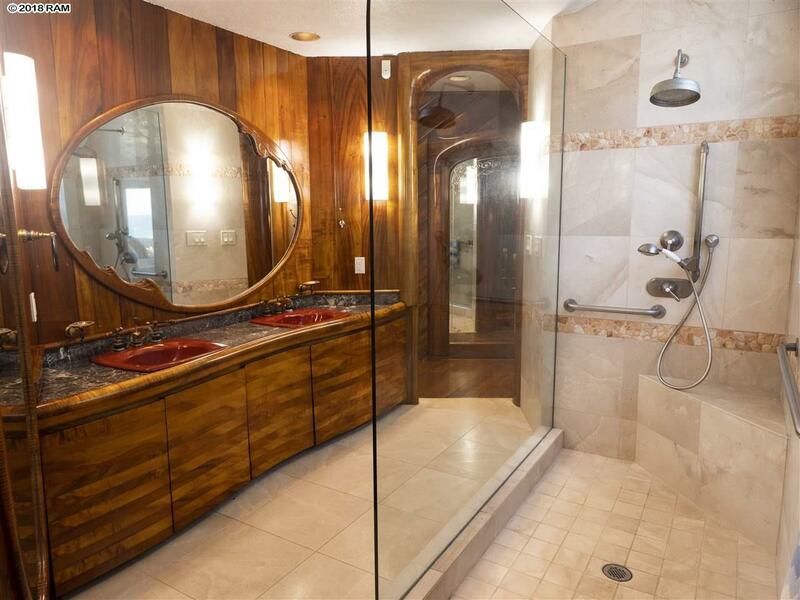 Copyright © 1995-2019 Realtors Association of Mau, Inc All Rights Reserved.